The terms handcrafted and local are thrown around a lot these days. When you hear them now, you probably don’t pause to think about the values these words are intended to reflect. At Still Waters Distillery, these are respected qualities, not just buzzwords. Established in 2009 by Barry Bernstein and Barry Stein, the distillery has since been producing some of the most distinctive Canadian Whisky, Vodka, and Rye, garnering both national and international acclaim. And their first bottle of whiskey was only opened in 2011. Canadian liquor laws require that a whiskey be aged for a minimum of 3 years, and that means that their hallmark single malt whiskey Stalk and Barrel was in the works for quite a while before we were able to get our hands on it. Patience, know-how, and confidence in their method has evidently paid off for the two co-founders, because Stalk and Barrel is every bit as good as the numerous awards it has won suggest, which, it should be noted, include the Canadian Whiskey Awards’ 2013 Distillery of the Year and 2015 Best New Whiskey awards. 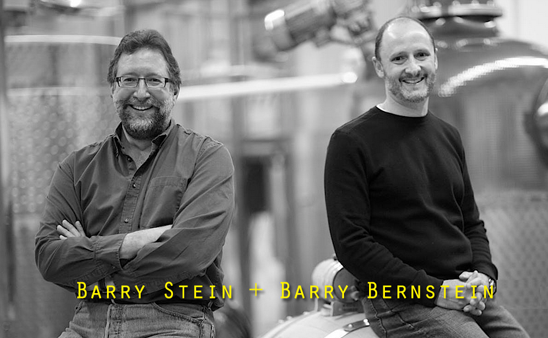 Based out of Concord, ON, the two Barry’s work together on creating products that showcase their dedication to the craft of micro-distillation. They’re practically obsessed with ensuring that every batch meets its potential and then some. Their business mantra – From Grain to Glass – says it all. They are involved with every step of the process, from sourcing the grains to distilling the alcohol in their traditional (and custom made) copper pot still to carefully filling the ex-bourbon barrels their whiskey will age in. The two-row barely they use is grown exclusively in Canada (no exceptions), and as much of the grain as possible is farmed within 100km of the distillery itself. Every individual barrel imparts unique characteristics to the final product, and so either Barry or Barry closely monitors every single one, ensuring that conditions are ideal, and that the spirit receives the exact treatment it needs to reach proper maturity. Then they taste, make notes, and taste some more. There is no outsourcing, no automation. Don’t even ask if they add artificial colouring. It’s a process that benefits from their direct and continuous involvement, from their devotion, and from their expertise. And then we all benefit in turn. That works out well, no? As though any more was required of these guys to prove that they’re completely on the level and all-around awesome Ontarians, they offer ways for whiskey snobs and whiskey newbies alike to become more involved, more knowledgeable, and more engaged with their drink of choice. Their website boasts a barrel-tracking service, where you can delve into the world of small-batch tasting notes and other intricacies like barrel types, age, and bottling information. They want to open their world to you, not just sell you a product off a shelf. These spirits are as local as local gets, and as crafty as handcrafted gets. These men are as dedicated as men come. 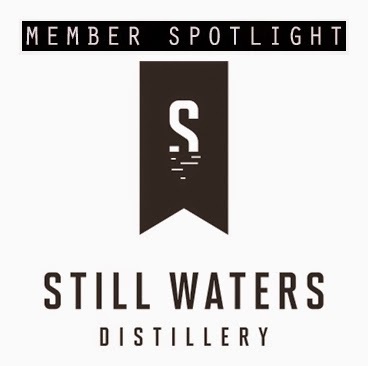 Now a prominent member of the OCDA, Still Waters Distillery was Ontario’s first small-batch, independent distillery, and continues to set the standard. Click HERE to SHOP ONLINE. Note: Article written by Dylan Nassr.